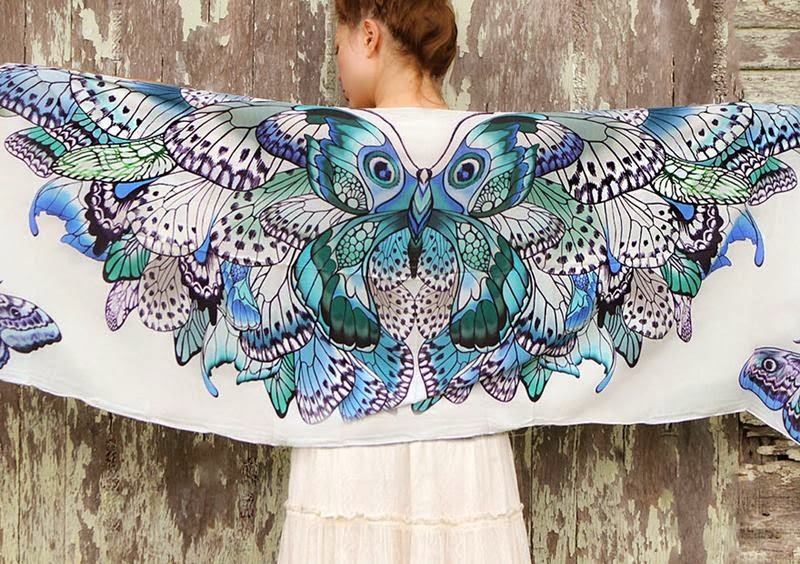 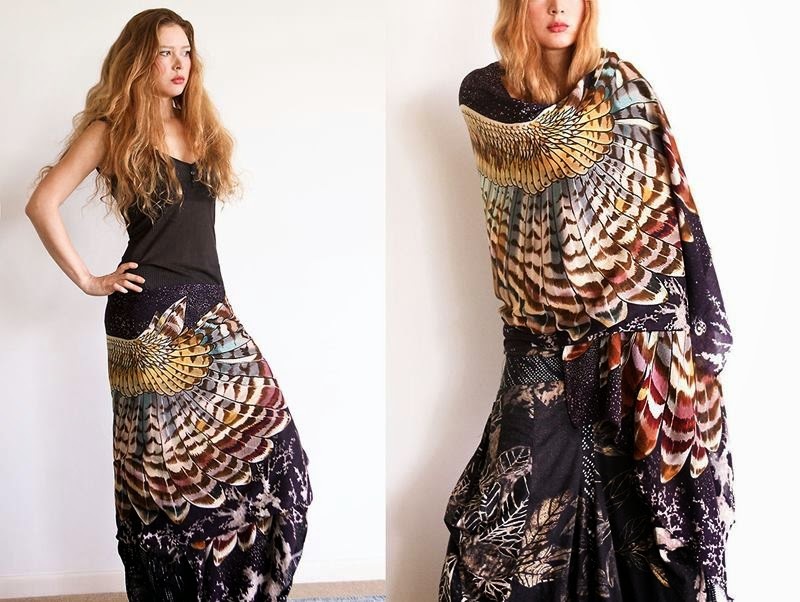 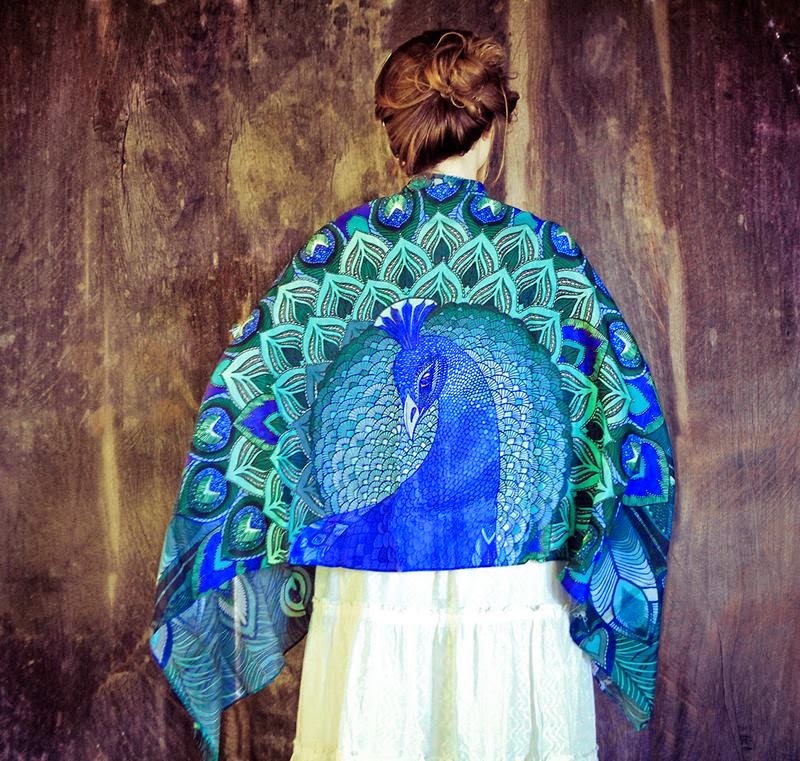 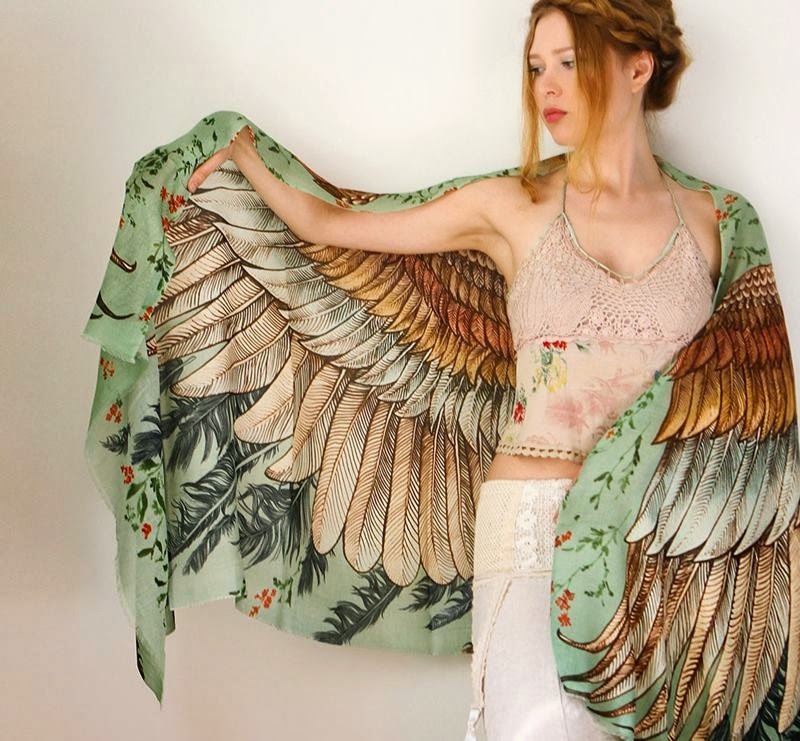 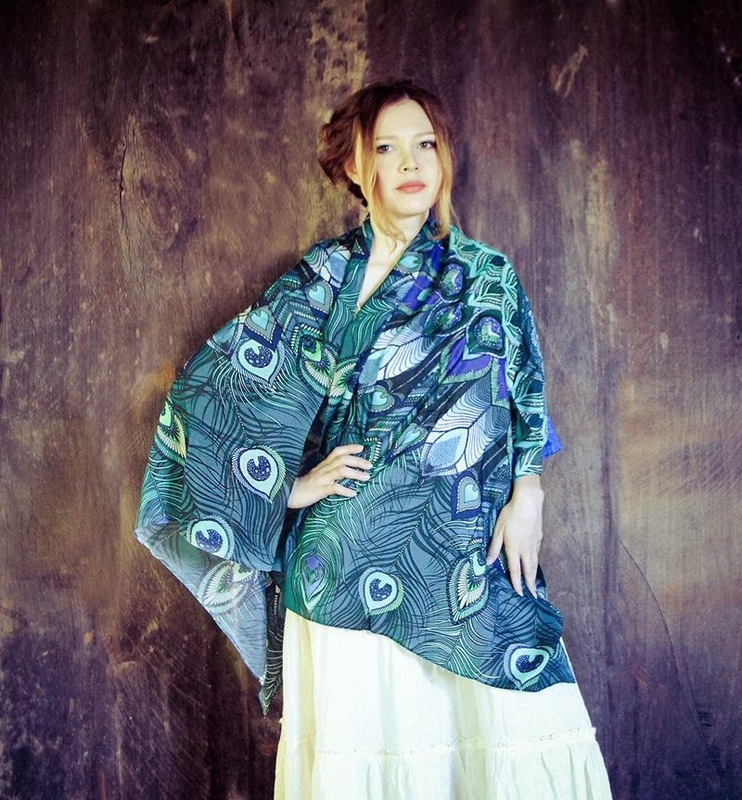 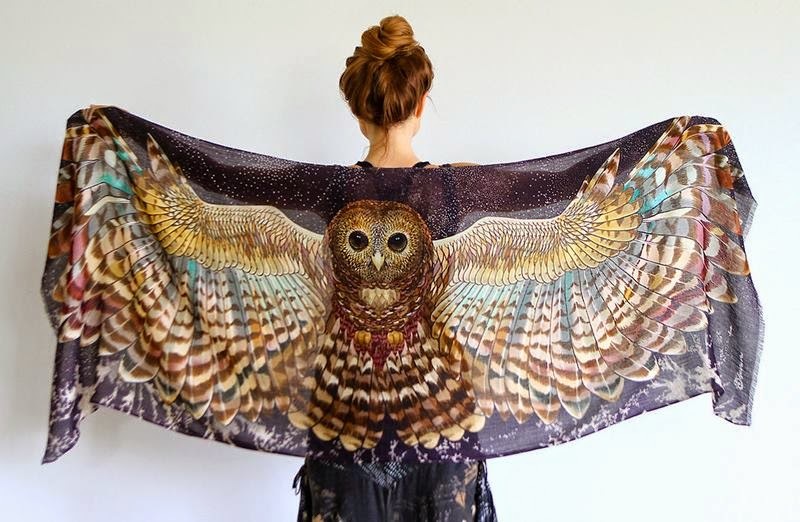 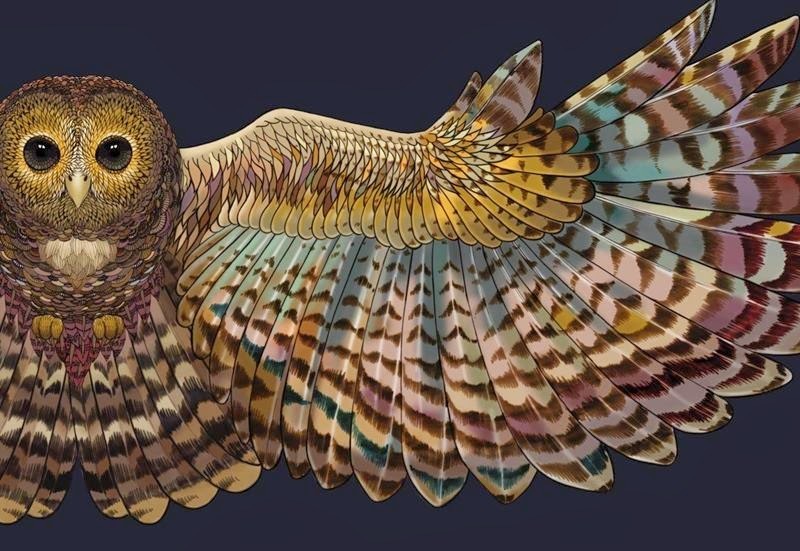 Melbourne fashion designer with Kazakh roots, Roza Khamitov originally from Kazakhstan, has created a series of scarves that use significant bird motifs in a creative way. 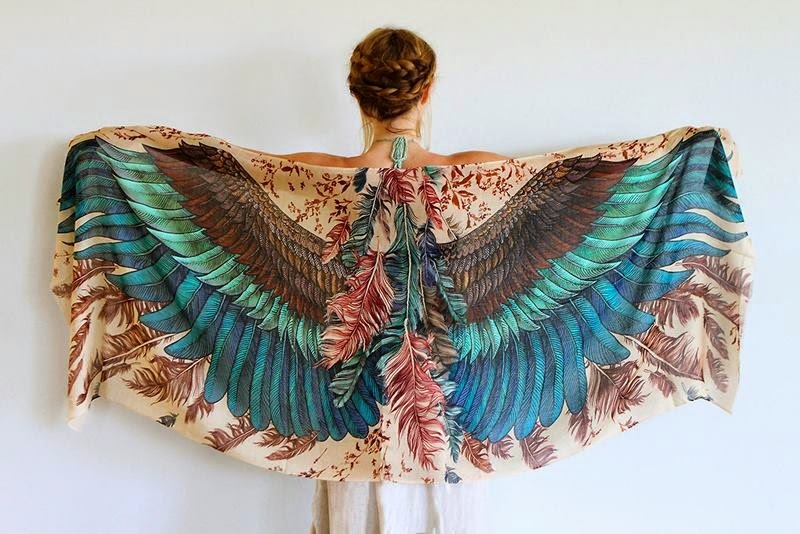 Although motives are always a little different, they have one thing in common - each piece is trying to energize the impression that man has on his back beautiful bird wings. 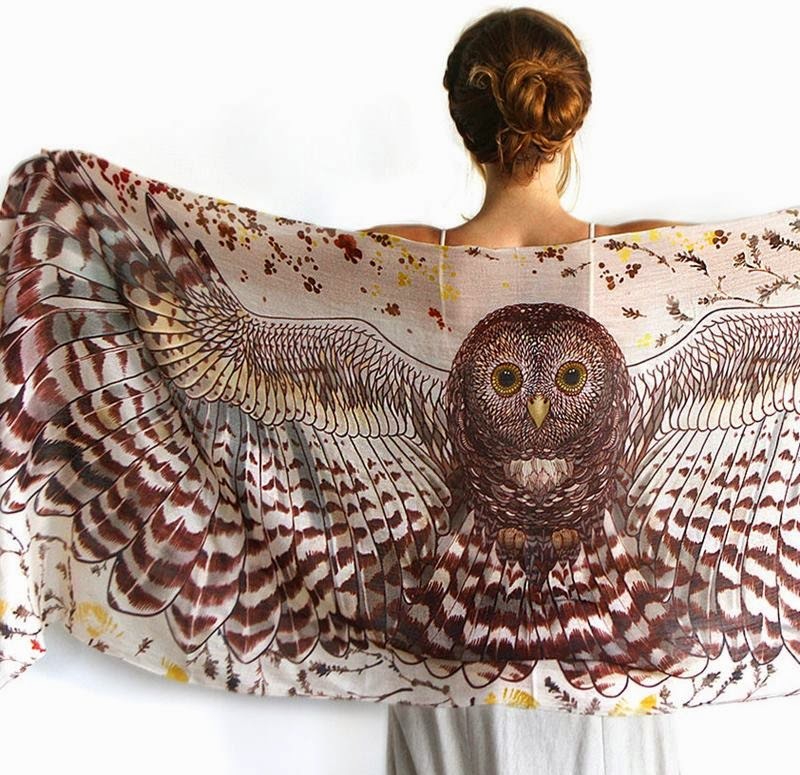 The designs used on these digitally printed scarves were hand-painted by Roza, who maintains an Etsy e-shop called “Shovava” highlighting her work. 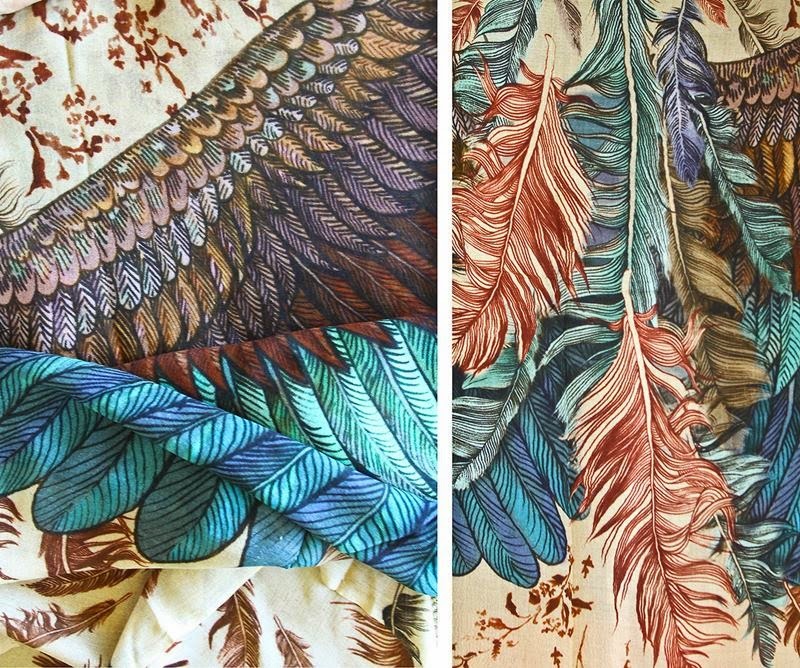 Most of her designs come in a variety of colors. 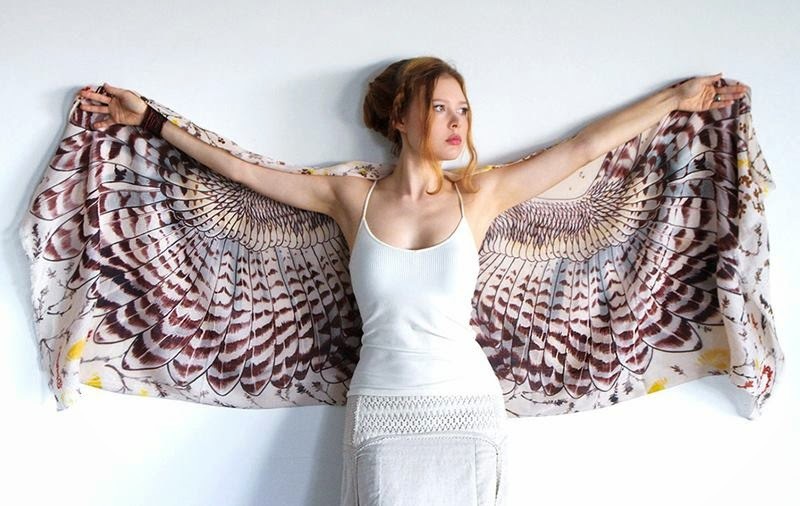 She claims that the natural materials that she uses (primarily cotton) are no-itch, non-toxic and recyclable.